Noordhoek is synonymous with horse rides on the beach. The romantic sunset champagne rides along Noordhoek Beach to the famous Kakapo wreck, will be long remembered as a holiday highlight. The rides and mounts are matched to your riding ability and experience. – Regretfully no children under 12. Morning and afternoon rides are available in season. Bookings are essential. Noordhoek is one of Cape Town’s unspoilt gems. 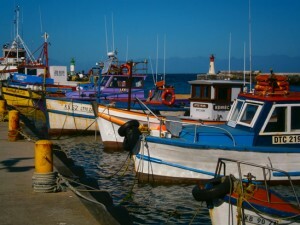 Once the vegetable farming lands that supplied the ships docking in Table Bay, it has kept its unhurried, pristine rural feel, where horses graze on the open common, dogs accompany their owners to the farmstall, grassy verges replace pavements and clear night skies are lit up with a thousand stars. Surrounded by the magnificent Silvermine Mountain range, and its sentinel, Chapman’s Peak, the 6km long Noordhoek Beach stretching across the valley to Kommetjie, and the natural wetlands & lakes, Noordhoek has been able to retain its unique country feel. Noordhoek is proudly listed as a conservancy village, working for the protection of its pristine beauty for the enjoyment of all. One of our special claims to fame is the rare spotted leapard toad that enjoys endangered species protection in our valley. We at Pooh Corner strive to support our beautiful valley too. Home grown fruit and veggies, free-range eggs, home made jams, preserves and other delights, organic gardening methods, water saving and energy saving systems and support for our local small businesses are high on our priority list. Visit our local township, Masiphumelele, for a real South African experience. Your guide, Charlotte Swartbooi, a resident of Masi and an accredited South African tour guide will walk and talk you through a whole wonderful cultural experience. Local crafts, outdoor fast foods, made over open braai fires, colourful spaza shops, the many local creches & schools, library enrichment programmes, feeding schemes and entrepreneurial initiatives will all form part of this fascinating and uplifting tour. The 1 – 2 hour tours must be booked ahead of time and will accommodate small or large groups.